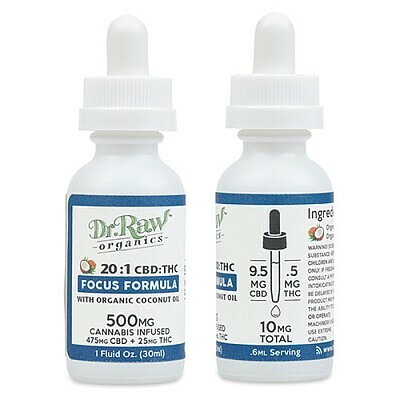 Our Focus Formula organic marijuana tincture is formulated with a 20:1 CBD:THC ratio. This formula causes little to no euphoric effect. Made with highly distilled, pesticide-free oils leaving a nearly clear, tasteless tincture. Our most versatile product. For sublingual application, topical application or you can cook with it.